This summer has been a summer of new beginnings. I left my teaching career of ten years to pursue my blog full-time. 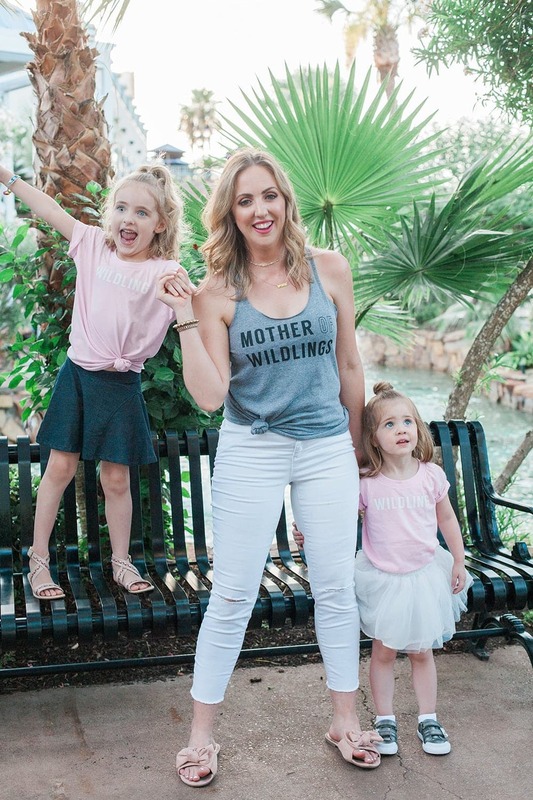 I hit the ground running and learned what it was like to be a work at home mom with two kids. Kennedy is now a preschool graduate and starts kindergarten on Monday. We visited Nashville, Seattle, and Vancouver, BC. Caroline turns three tomorrow. I thought I would never say this, but this summer flew by: Good Bye Summer! I’m definitely still learning to navigate these new beginnings, and feel like I fail almost daily. I go to the gym 4+ days a week to take advantage of the 2-hour childcare, simply because I can sit down for an hour of uninterrupted time to answer emails or work on an upcoming blog post. I’m going to let you in on a secret: I literally cannot do it all. I’ve gotten messages from readers asking me how I get so much done. The reality is I don’t. I stay up way too late working, my house is a mess (I just hired a cleaning service to come once a month! #winning), and I am forgetful as can be. There have been multiple nights where I have to sit upstairs and work on a deadline while Greg cooks dinner and plays with the kids. God bless that man. I still wonder how I managed to snag such an amazing and supportive husband. I’m totally looking forward to a more predictable work schedule. I’m excited about getting these little ones into a consistent schedule, too. Lord knows we all need a dang schedule. You know what, though? I refuse to feel guilty about any of it. At the end of the day, that’s what summer is, right? Schedules are thrown out the window. We’re allowed to make a mess. Get a little sun. Yell a little. Eat too many desserts (or happy meals). Stay up way too late. Watch too much TV. I’m so glad to be waving Good Bye Summer! The smiles on my girls’ faces make everything worth it. I’m okay that I don’t have it all together and my house is a perpetual mess. I’m so, so happy I get to be with my babies. I get this time back that I felt I lost. As I wave Good Bye Summer, I am thankful for this messy, beautiful life, and so excited to see where it leads us next. Adios, summer! Photos by Kate Carmichael Photography. Also make sure to follow her on Instagram if you are in need of a Houston photographer! Aww… Congrats on pursuing your blog full-time! I’m designing my blog now and hope to get it up and running soon. I’m a big fan and your blog is one I look to for inspiration! I’ve wondered rhough, how do you afford to have a professional photographer all the time? Do you have a discounted rate with 1 photographer? Or do you write it off at tax-time as a business expense? Your photos are so beautiful and your girls are adorable. I totally agree with you. What’s most important is making precious memories with them, not if the house is clean or dinner cooked.